Guangzhou Evangrande fined five backroom staff for damaging the clubs ‘brand’. The reason behind the fines was due to an incident which occurred in an Asian Champions League game between Guangzhou Evangrande and Tianjin Quanjian which ended up with Guangzhou’s defender Zhang Linpeng having to change his shirt because of blood being on it. The referee decided to enforce FIFA’s rules regarding blood on players’ kits and ordered Zhang Linpeng off to change his shirt. This was when the Evangrande support staff noticed they didn’t have another number 5 shirt. Staff were scrambled in an attempt to find one but came up a cropper. 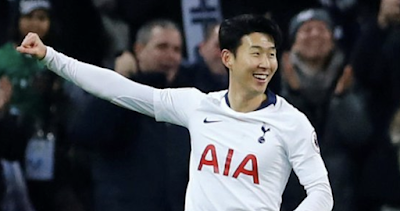 Without having another number 5 shirt, they needed to find an alternative solution in order to get Zhang Linpeng back out on the pitch. 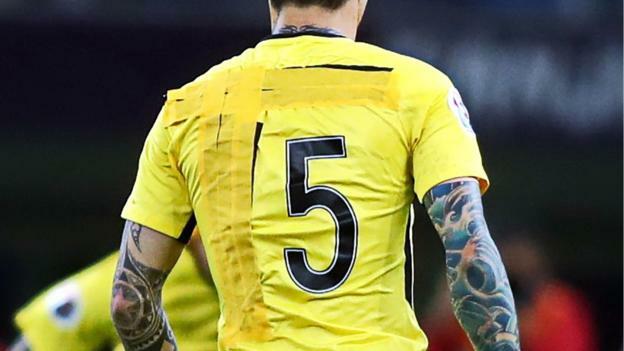 In order to solve the problem, the staff got a hold of some yellow tape and substitute Zhang Wenzhao’s number 15 shirt in order to create a DIY botched solution. They used the tape to cover up Wenzhao’s name and the number 1 of the 15 to create a new number 5 shirt to be used by Zhang Linpeng. At halftime, Zhang Linpeng changed back into the correct shirt at halftime but club officials were left unimpressed by Evangrande staff’s actions and they have deducted their pay for a perceived damage to the clubs brand. It’s a bit ridiculous to fine staff because of this issue as they were only trying to get the player back out on the field of play. Guangzhou Evangrande’s brand has hardly been damaged due to this issue, there may have been some mocking amongst Chinese Super League supporters but it hardly made any impact around the world until the club decided to apply the fine to the staff. By applying the fine to the staff it then turned something quite small and insignificant into a bigger issue, and the fining of staff is what was picked up around the world more so than the jimmying of the shirt and it was only for the first half anyway. The perceived damage that was done was superficial and my presumption is only the owners were concerned about the impact, the fans were likely unconcerned and there have been instances of this happening in major European leagues too. China will struggle to qualify for the World Cup as long as trivial issues as this cause clubs are at the forefront of clubs and owners concerns.